Wash and cut your vegetables into chunky pieces. Parboil your Elfe potatoes for 5 minutes and cut into chunks. 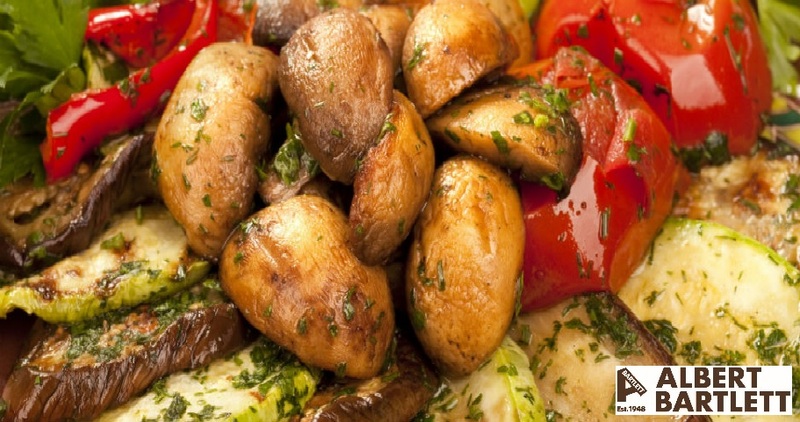 Grill your vegetables with a drizzle of olive oil and a handful of fresh herbs for around 10 minutes. We suggest parsley and coriander. Whilst grilling your vegetables, sauté your Elfe potatoes for 10-12 minutes, or until the flesh starts to soften and the skin crisps. Top with a light drizzle of olive oil and some more fresh herbs.